Come to the 31st annual Chinatown StreetFest, spanning eight blocks of Chinatown, with more than 200 booths showcasing a myriad of delicious foods and unique Asian products, to experience the traditions that Oakland’s Chinatownhas so diligently preserved. There will be arts & crafts, live music, cultural entertainment, and attractions for families and children. On August 25-26, the Oakland Chinatown Chamber of Commerce (OCCC) will be presenting its 31st Annual Chinatown StreetFest. 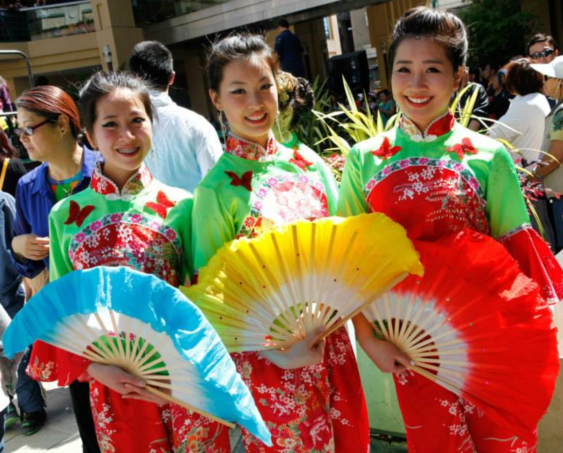 In celebrating the Year of the Dog, the Chinatown StreetFest will attract thousands of people from all over the Bay Area to come savor the taste of Asia, and to experience the traditions that Oakland’s Chinatown has so diligently preserved. Featuring lead vocalists Jannel Candrice, and the soulful vocals of Johann Michael, aka JoRasp, the Soul’d Out Band is a Bay Area based cover band, specializing in RnB, Top 40 hits, and other genres, from today and yesteryears. They will hype you up to get you dancing and encourage you to sing along. Get ready to jam to some smooth tunes and get down to a funkadelic experience. Festival attendees are encouraged to take BART. Get off at the 12th Street Oakland station and exit to 11th Street. When you get up to the street level, you will be at 11th and Broadway. Walk down Broadway towards 9th Street until you see the festival.